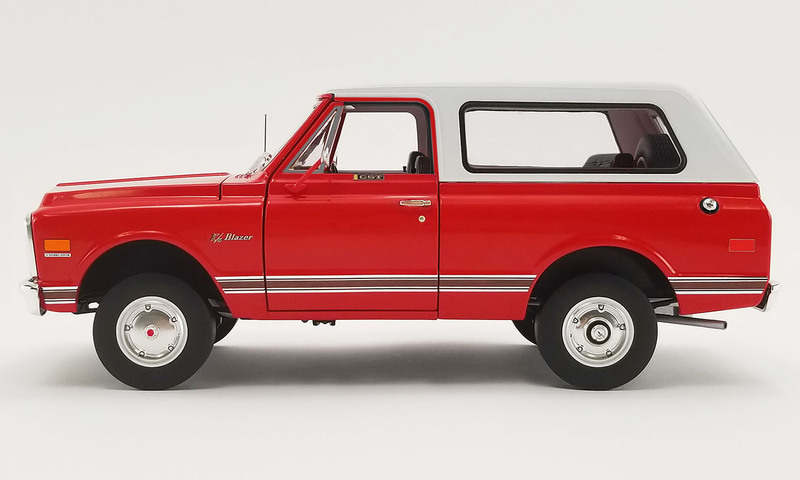 The Blazer was designed and marketed to compete with the Scout, Bronco and Jeep. 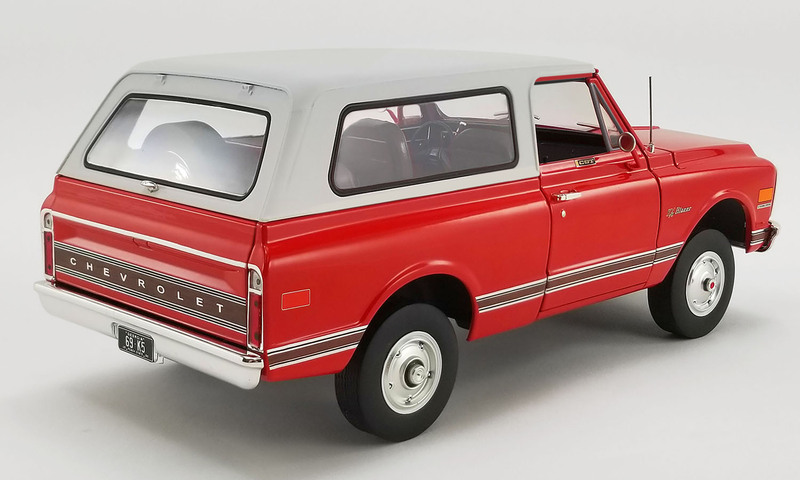 The main goal of the Blazer was to simply offer a shortened pickup truck, which increased interior space and lowered costs of production being a shared platform. The Blazer offered off-road capabilities with features like air conditioning and automatic transmissions the competion could not. 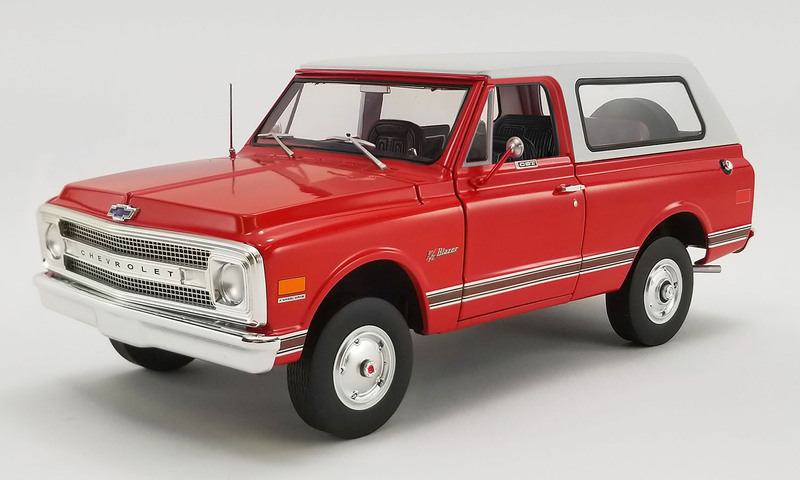 By 1970, the Blazer was outselling Ford, Dodge and Jeep in the markets. ACME is proud to announce this all new 1969-1972 Blazer tooling! Our first release in this iconic mold will be in beautiful Orange CST trim. This is the first time these Blazers have ever been made in 1:18 scale. 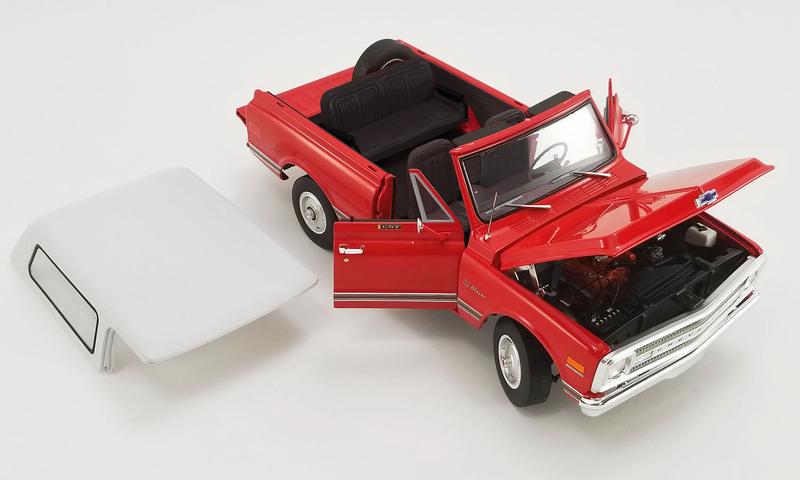 These replicas are feature packed with opening doors hood and tailgate. 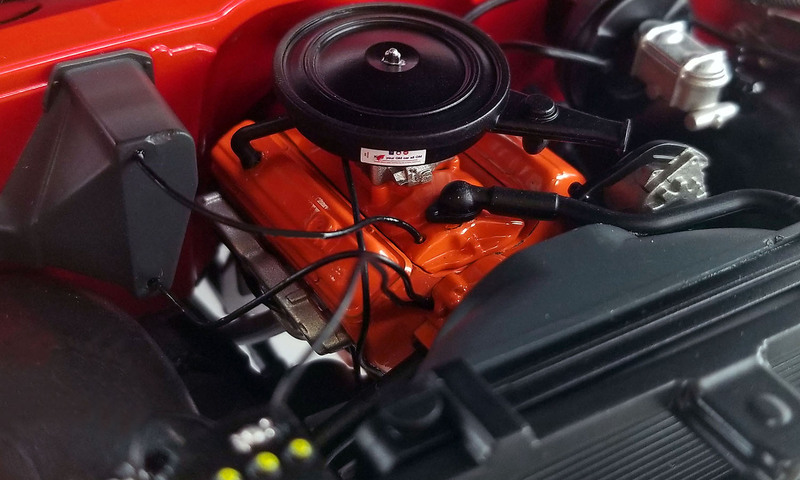 Remove the top and check out the full interior detailing and then pop the hood and take a look at the fuly plumbed and wired engine! The chassis is also fully detailed with a full transfer case and dana axles!